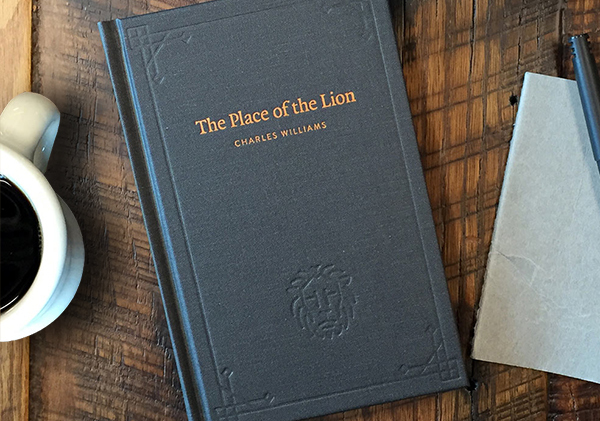 The Charles Williams Society exists to promote the study and appreciation of the life and writings of Charles Walter Stansby Williams, a poet, novelist, and lay theologian. 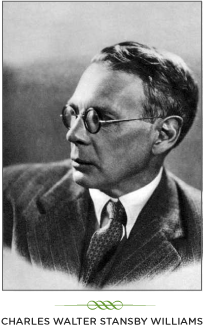 Charles Williams is probably best known, to those who have heard of him, as a leading member (albeit for a short time) of the Oxford literary group, the "Inklings", whose chief figures were C. S.Lewis and J. R. R Tolkien. He was, however, a figure of enormous interest in his own right: a prolific author of plays, fantasy novels (strikingly different in kind from those of his friends), poetry, theology, biography and criticism. The Society met twice a year, and published The Charles Williams Quarterly, which normally included the papers delivered at the meetings. It also occasionally had short residential conferences, the most recent having taken place on July 4th-6th, 2008. It maintains a lending and reference library. 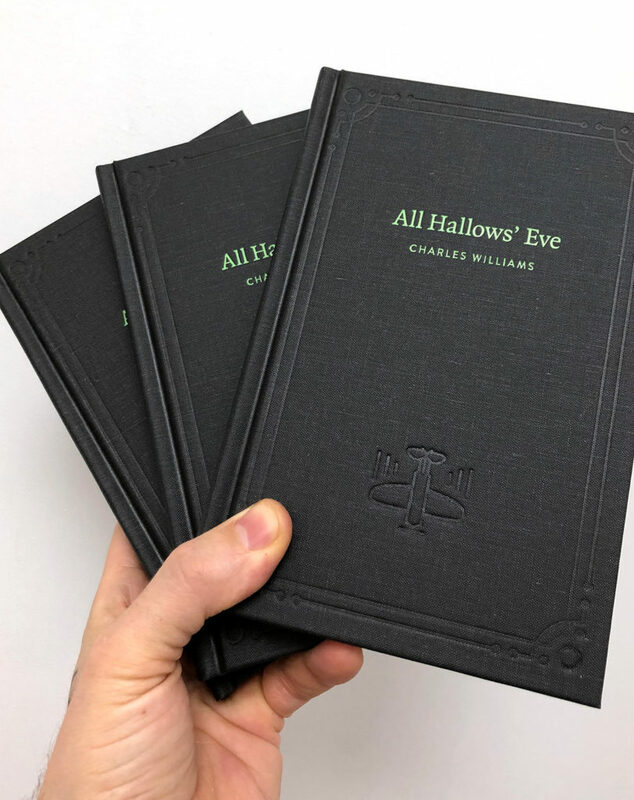 Now available and added to The Charles Williams Library: All Hallows’ Eve. A woman who might be dead, a painter who might be a master, and a prophet who might be a monster. This is one of the novels that earned Williams the reputation of someone who could blend the supernatural and the everyday convincingly. The story flips back and forth across the worlds of the living and the dead, and as it turns out – they’re not very separate at all. The Williams Library editions are hardbound, with cloth covers and foil stamping on the covers. Inside, you’ll find modern typography in the best bookmaking tradition. 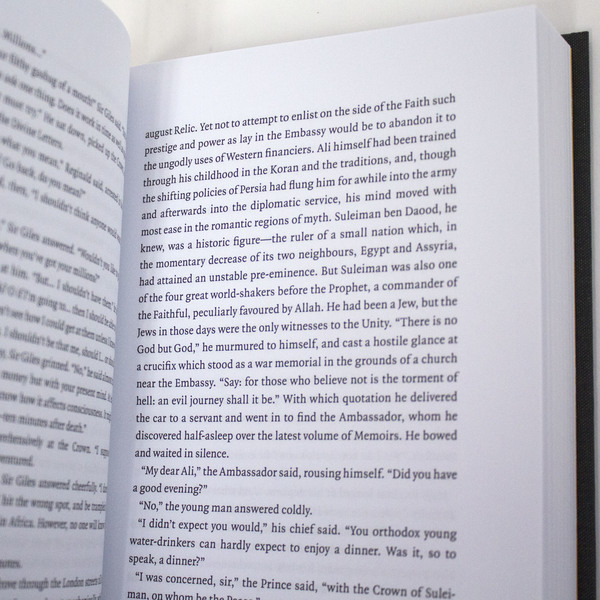 Printed in pure black with bright spot colors. They’re sized right in the sweet spot: easy in the hand but a respectable presence on the bookshelf. AND! All proceeds from sales go directly to printing costs for the next books in the series – and so on, until we’ve republished all seven novels. Inklings fans! Author Kees Paling has written a light-hearted novella imagining four of the Inklings – Lewis, Tolkien, Williams, and Barfield – all going for a walking tour. They stroll through the countryside, discuss their literary obsessions, and have minor adventures. Various elements from the authors work appears as easter eggs or plot devices; it’s interesting to spot them all. It’s a light read and a flight of fancy; many of us have wished we could be a fly on the wall during an Inklings meeting at the Bird and Baby, and this fanfiction scratches that itch. And take that ‘fanfic’ for what it’s worth: the authorial touch here is definitely rooted in fandom and not the academy, and I think that’s a real asset. It doesn’t belabor with biography, it takes the canon of the Inklings work and lightly expands outward. It’s out now on amazon – you can find it here. If you like this, the twitter thread #InkWalk attacks a similar target as well. 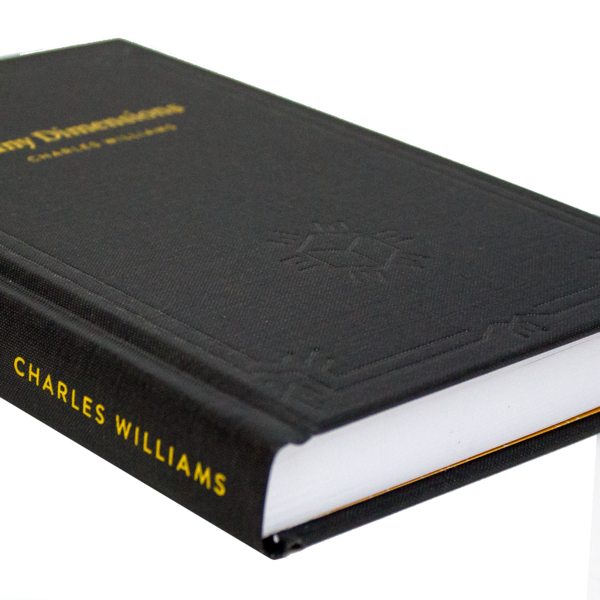 Now available and added to The Charles Williams Library: Many Dimensions. Many Dimensions is one of the most enjoyable of Williams’ novels. It’s got magic, drama, time travel, commerce, a romp through an English village, and of course, Serious People discussing the Concept of Justice. The plot moves quickly: nasty rich collector Giles Tumulty has somehow acquired the Stone of Suleimon and brought it to London, where he discovers that it allows one to travel through space and time. His brother-in-law Lord Chief Justice Arglay and Arglay’s secretary Chloe Burnett get involved, and then so does everybody else, and that’s just in the first few chapters. The Williams Library editions are hardbound, with cloth covers and foil stamping on the covers. Inside, you’ll find modern typography in the best bookmaking tradition. Printed in pure black with bright spot colors. They’re sized right in the sweet spot: easy in the hand but a respectable presence on the bookshelf. This one, like the others, is available at The Charles Williams Library. Descent Into Hell – now available! 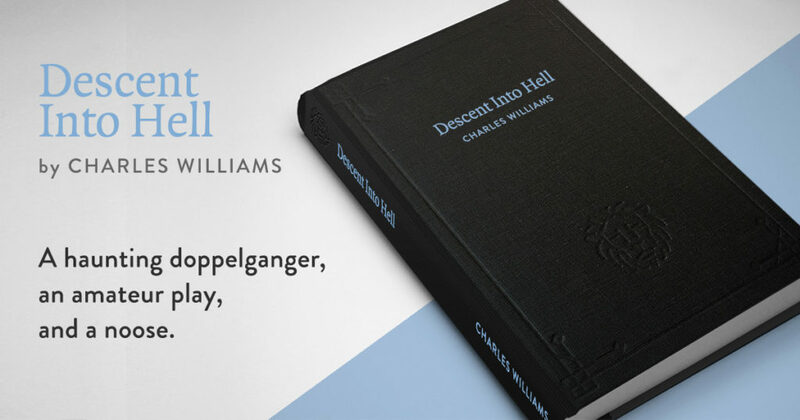 Now available and added to The Charles Williams Library: Descent Into Hell. 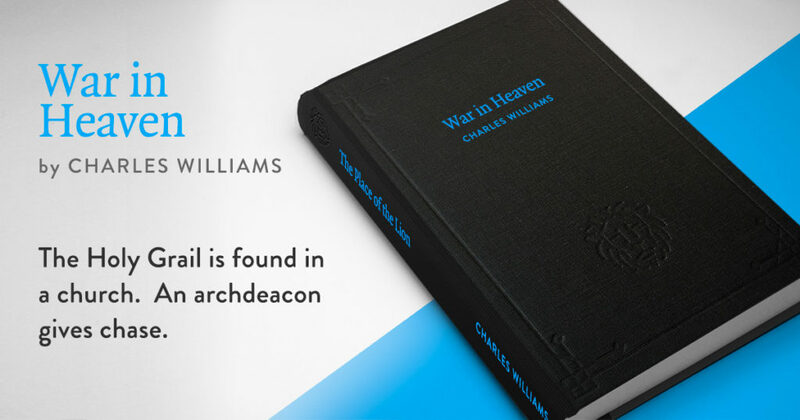 Descent Into Hell is probably the best novel by Williams – it’s the fullest statement of his ideas about substitution and exchange in the Christian life, and also brings together more than a few of his obsessions. Plus, it’s a spooky page-turner! In this one, there’s an amateur play being produced in a newly-built suburb. One of the actresses is haunted by her doppelgänger, a military historian is seduced by a succubus of his own creation, a nice old lady just might be an ageless witch, and a construction worker who committed suicide when the suburb was being built is haunting the neighborhood. There’s also… TIME TRAVEL. In the meantime, the play must go on. Posted in Charles Williams Books In Print, News | Comments Off on Descent Into Hell – now available! Here below is the text of that introduction. At an Extraordinary General Meeting of the Charles Williams Society held in Oxford in June last year, members of the society passed a resolution giving formal assent to the winding up of the society. It was, inevitably, a sad occasion. The society had been in existence for fifty years and had achieved much in the way of publications, conferences, a Newsletter and Quarterly and a substantial collection of reference material. But, as its members had increasingly become aware, it could not continue in its present form. Consequently, on 25th of February 2017, I, as Chairman of the Council, and the President of the Oxford University C S Lewis Society signed the form which legally transferred the assets of the Charles Williams Society to the Oxford University C S Lewis Society: a sum of £18000.00 and the contents of the reference library. It was deemed appropriate that the Oxford University C S Lewis Society should receive these assets – for a variety of reasons. First because the society was the origin of the Journal of Inklings Studies which will be receiving the bulk of the monetary transfer, a publication whose editor has assured me will actively promote the cause of Charles Williams. The Society, we may say, continues its life in this website so ably administered by Matt Kirkland. Everyone owes a huge debt to him for his achievement. And the reference library continues to be housed in the Centre for Medieval and Renaissance Studies in Oxford. It is available, not only to scholars, but to anyone who is interested in the life and work of Williams. The new owners of the Centre, Middlebury College, under leadership of Professor Paul Monod, are extremely welcoming and helpful. We owe them, too, a large debt of gratitude. I have been privileged to work alongside splendid friends on the council of the Charles Williams Society: scholarly, witty, perceptive and supportive. To them my heartfelt thanks. And to the many hundreds of people I have met in the course of fifty years of my association with the society I give my thanks for the enrichment of my life in so many ways. The Celian Moment and other essays. The Greystones Press (directed by the Society’s own Stephen Barber) will be bringing out a new volume of Charles Williams essays on 6 April, called The Celian Moment and other essays. These essays have been gathered from books, pamphlets and periodicals all long out of print and none of them has previously been collected. They cover nearly all his literary interests and the final one shows his sympathy for left-wing political ideas arising from his own poverty-ridden childhood. The title essay develops Williams’s theory of poetry but is also a covert homage to the woman who was his second and unacknowledged love. – Rowan Williams, former Archbishop of Canterbury and President of the Charles Williams Society. The essays have been edited and annotated by Stephen Barber, who has written numerous articles on Williams and was Treasurer of the Charles Williams Society for fifteen years. Greystones is in discussion about publication in the USA, but in the meantime, US readers can order the book from the UK branch of Amazon. 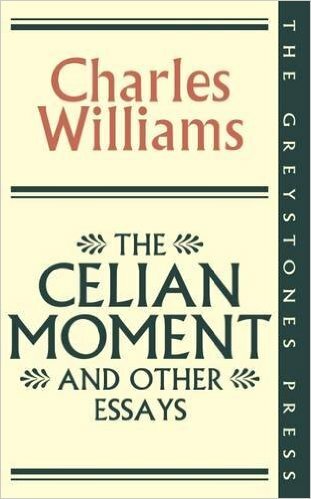 Posted in Charles Williams Books In Print, News | Comments Off on The Celian Moment and other essays. Get Charles Williams-related news right to your inbox! The newsletter sends out infrequent emails about Charles Williams: publishing, scholarship, discussion, and more. You can sign up here. Posted in News | Comments Off on Join the Newsletter! You can download the PDF thru Academia.edu above, or download it directly here.